13 Nov, Cape Town:- Fossil Free South Africa, launching across South Africa in November, will lobby universities and investors of all stripes to withdraw investments in fossil fuels and reinvest in clean energy. Though it is morally wrong to be invested in fossil fuels, it is very likely bad business too. A growing number of economists are talking about the fossil fuel industry as the next bubble, both because of over-investment and the likelihood that reserves may have to be written off under stronger climate regulations. Investment in the rapidly growing clean energy revolution may be a far stronger long-term bet. It is widely acknowledged that corporations and governments are failing to act fast enough to stop dangerous climate change. Now a global campaign has emerged to challenge this deadly status quo. Universities, cities, Foundations and churches on several continents are withdrawing investments from fossil fuels and reinvesting in clean energy. These include Stanford, Glasgow University, the Australian National University, and cities like Seattle, San Francisco and Oxford, and even the Rockefeller foundation who of course made their money in fossil fuels. Fossil Free SA aims to awaken South Africans to the fact that their investment choices can shift the extremely destructive practices of the fossil fuel industry. Citizens have to make it clear that this industry is destroying the human rights of current and future generations, and that these companies’ practices are no longer socially acceptable. Fossil Free South Africa started in 2013 as a campaign lobbying the University of Cape Town (UCT) to end its investments in fossil fuels – investments at odds with the university’s publicly declared intention to be a force for social good. At UCT, a growing collective of students, staff and alumni are driving this campaign. Fossil Free SA is now crowd-funding across the country to support campaigns on other campuses. There is widespread authoritative agreement that to avoid dangerous climate change, the world’s energy supply must become 100% free of fossil fuels. This should happen by 2050. However, governments are ignoring their own targets for emissions cuts. Fossil fuel companies have reserves of oil, gas and coal five times bigger than what we can burn without a strong chance of crossing the threshold into dangerous climate change. In other words, the current business plans of fossil fuel companies rely on the destruction of a climate safe for humanity. In addition to the damage they are doing to the climate, these companies also inflict massive direct environmental destruction. They undermine democracy in many countries by buying politicians, infiltrating governments, undermining science and gagging their victims. While fossil fuel (and nuclear) energy are becoming ever more expensive, the cost of renewable energy continues to plummet while creating more jobs than fossil fuels. George/Knysna, Port Elizabeth, Grahamstown, Stellenbosch on 19, 21, 22, 27 January respectively. Fossil Free South Africa began as Fossil Free UCT. Aligned with an international movement, it is a network of South Africans deeply concerned at the inadequate action of governments to protect citizens against a massive growing human rights threat. 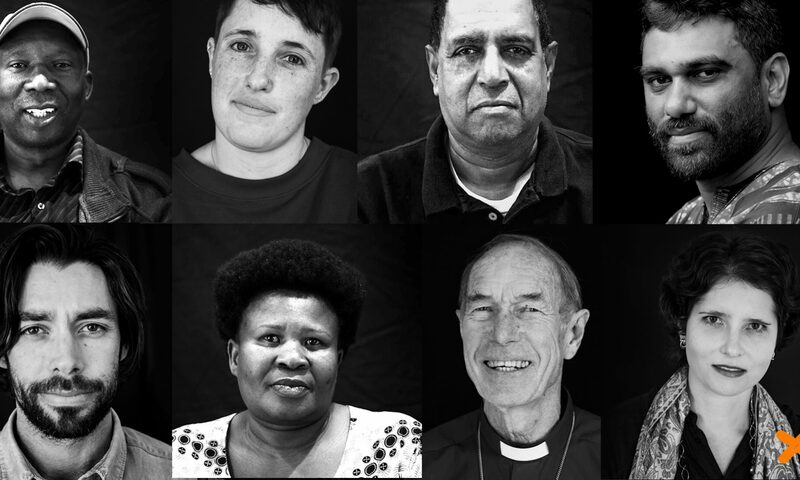 Fossil Free SA works with 350.org and other civil society organisations, and has been endorsed by Archbishop Emeritus Desmond Tutu, Human Rights Commission deputy chair Pregs Govender (in her personal capacity) and many others. Even 2 °C of global warming has been described as ‘death for Africa’. – Issued by Fossil Free South Africa. 13 November 2014.